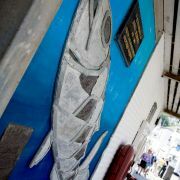 Fishing has always been central to Cornwall's economy, and it was fishing that drove the development of many of her coastal towns and coves. 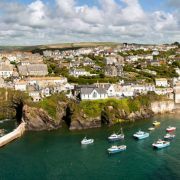 A visit to one of Cornwall's many and varied fishing villages is probably the very best way to get under the skin of this seafaring county. 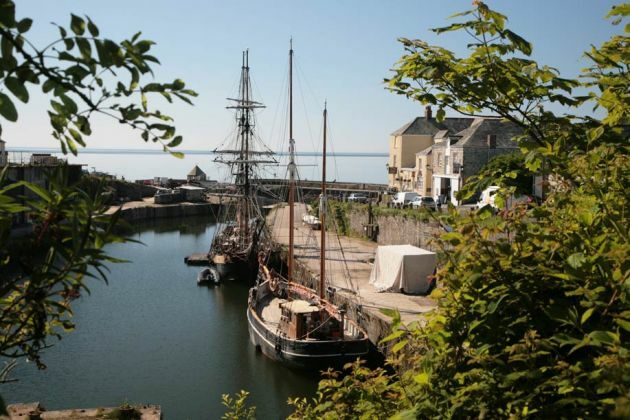 From the remote and windswept Boscastle to the sheltered Charlestown, home to its very own fleet of tall ships, here we have put together ten of the very best fishing villages to help you navigate Cornwall's vibrant fishing heritage. 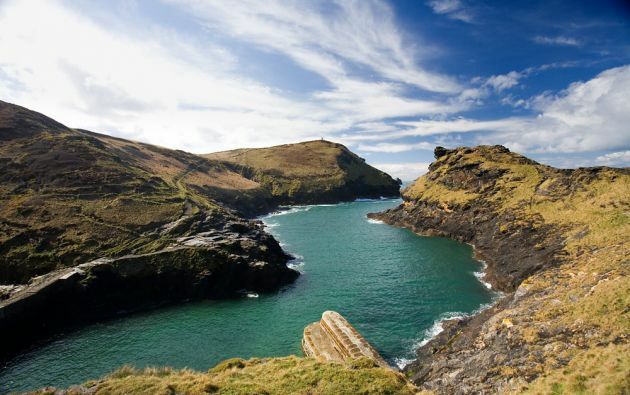 Boscastle is a tiny port with a natural harbour situated on an exceptionally beautiful stretch of coastline five miles north of Tintagel. In 2004, dramatic floods caused untold damage to the tiny settlement, most of which is owned by the National Trust. Most of the Boscastle's trademark thatched and whitewashed cottages have been rescued and rebuilt, along with the Witchcraft Museum, which offers a ghoulish look at Cornwall's dark side. Boat trips depart from the harbour for Long Island, where Razorbills, Guillemots and Puffins can be spotted. Mevagissey was once the centre of Cornwall's pilchard fishing industry and the old cob and slate buildings bear testimony to a time when large shoals of pilchards were the livelihood of the whole village. Mevagissey still has a working harbour, with a few dozen small fishing boats and a ferry to the nearby port of Fowey. 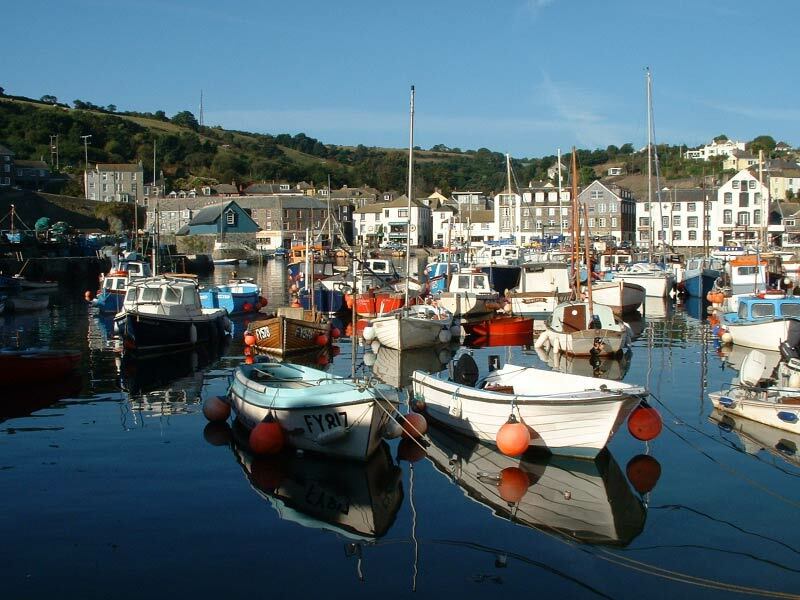 Fishing trips are available from the quay, where there is a car park, although Mevagissey's streets are extremely narrow and it is probably safer to park at the top of the village and walk down! 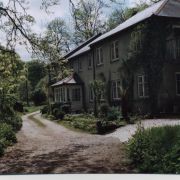 There are numerous gift shops, craft workshops, galleries, cafes, pubs and fish restaurants in the village. Mousehole can't have changed much since Dylan Thomas described it as the loveliest village in England. 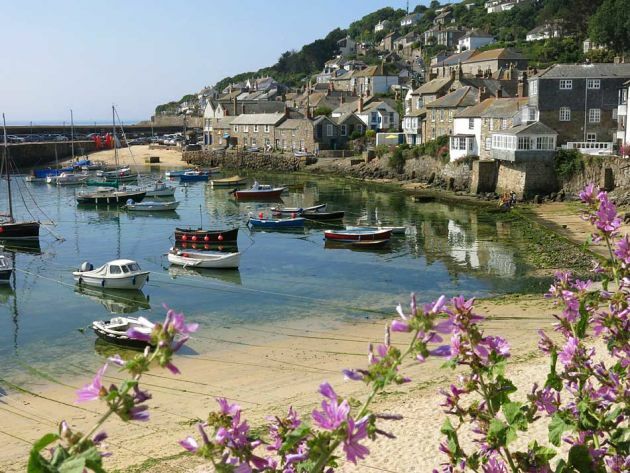 Located between Land's End and Penzance, Mousehole is a charming place of narrow streets and tiny granite cottages huddled around a working harbour filled with small wooden fishing boats. Each year in early November timber beams are laid across the narrow harbour entrance to protect it from storms, although waves can still often be seen breaking over the harbour wall at high tide. Visitors flock to Mousehole in December to see the Christmas lights, which are famous throughout Cornwall. Port Isaac, on the north coast near Padstow, has been a working fishing village since the early fourteenth century. 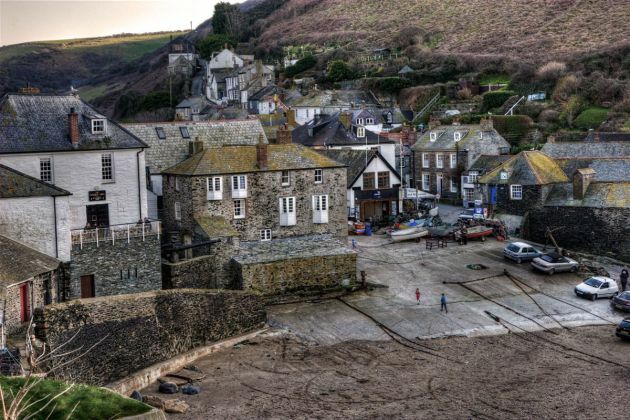 The picturesque mix of granite and slate-fronted houses, narrow winding streets and stunning, wave-battered coastline led to Port Isaac being chosen as the main location for the hit television series, 'Poldark'. Fishing and sightseeing trips are available from the harbour, which features a shingle beach. 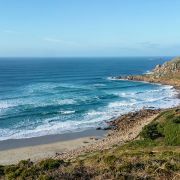 There are several more attractive sandy beaches within a short distance, including Polzeath, which is popular with surfers, and Daymer Bay, which is ideal for families. Just south of Looe lies the much smaller Polperro, a picture-postcard village that somehow remains charming in spite of a plethora of gift shops. The narrow streets, lined with pretty granite cottages, are banned to cars in Summer, although the exceptionally attractive harbour can be visited via a horse-drawn carriage from the main car park at the top of the village. Polperro's notorious smuggling history is well-documented by the Polperro Heritage Museum of Smuggling and Fishing. Sightseeing boats leave regularly for trips along the coast towards Fowey, and a couple of natural rock pools offer safe swimming at high tide. 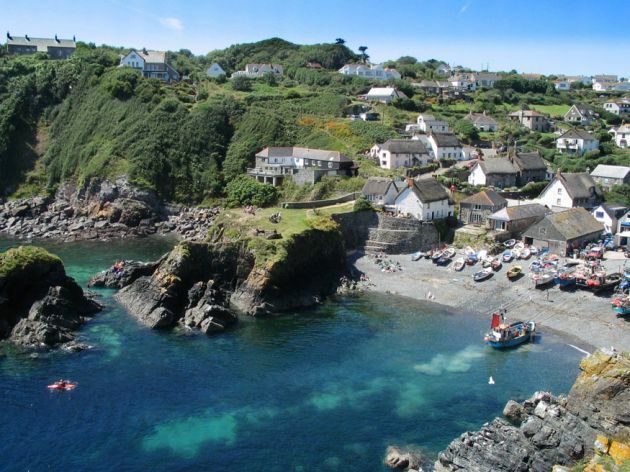 Cadgwith is a very pretty fishing village between Lizard and Coverack. The settlement began life in medieval times as a collection of fish cellars in a sheltered coastal valley with a shingle cove and good protection from the prevailing south westerly gales. Inhabited since the sixteenth century, Cadgwith still has some original local stone and thatch houses, which lend it a ubiquitously Cornish air. There are two beaches, separated at high tide by a small headland known as 'The Todden'. 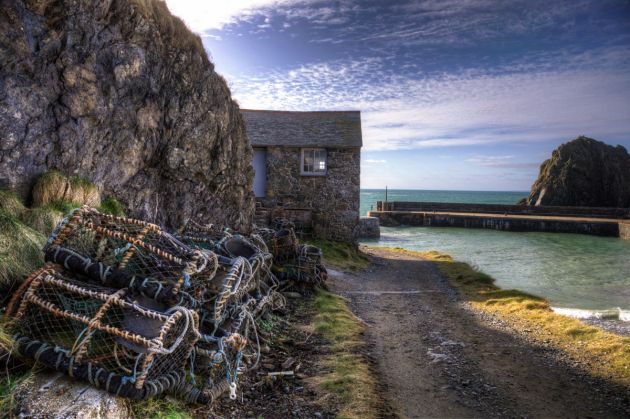 Deep-sea diving excursions to offshore wrecks known as The Craggan and The Boa are popular, as is the Cadgwith Cove Inn, thought to be more than four hundred years old. 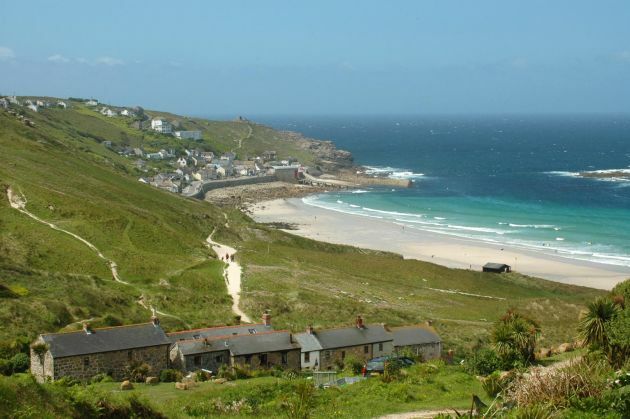 Sennen Cove has one of the loveliest stretches of sand in Cornwall and is hugely popular with surfers and beach lovers, yet somehow still manages to retain the atmosphere of an authentic old fishing village. A steep road leads past the beach and along the waterfront to a small working harbour backed by thatched cottages, a lifeboat station and a fascinating nineteenth century roundhouse, now run as a gallery. A couple of cafes and shops sell everything from surf wax to fish and chips, while the seventeenth century Old Success Inn, with views out over the west-facing bay, is an excellent place to watch the sunset. 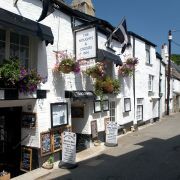 Mullion is the largest village on the Lizard, with shops, inns, cafes, restaurants, galleries, a golf course and a dramatic fishing cove with an attractive working harbour. The stout sea walls, built to protect the cove from ferocious winter gales, were completed in 1895 when pilchard fishing was the main local industry. The nearby Poldhu Cove, backed by sand dunes, is an ideal family beach, while a circular walk along the cliffs and back through Predannack Heath takes in the sandy Pollurian Cove, popular with surfers. Charlestown, near St Austell, is a uniquely unspoilt example of a late Georgian working port. 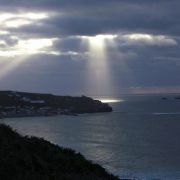 The village began life as West Polmear, a community of nine with a small fishing fleet that used the beach as a harbour. Between 1791 and 1801 local landowner Charles Rashleigh constructed what was essentially a new town, in response to the growth of the local mining industry, and named it after himself. The picturesque juxtaposition of roughly-hewn fishermen's cottages and period houses, together with a fleet of tall ships, at least one of which is usually moored in the harbour, have helped to put Charlestown on the map as a location for popular film and television series including Poldark, Hornblower and Mansfield Park. 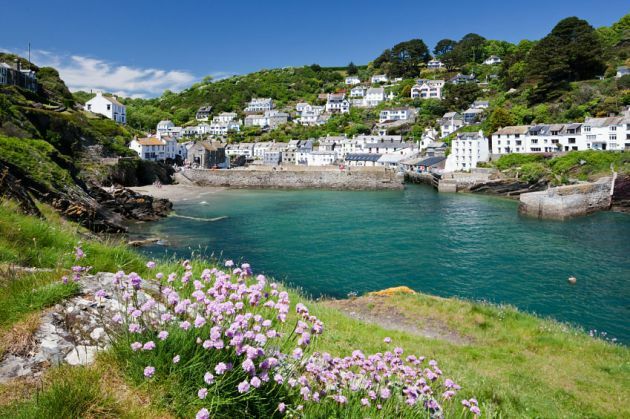 The sweet little village of Portscatho lies in the south west corner of Gerrans Bay on the Roseland peninsula. 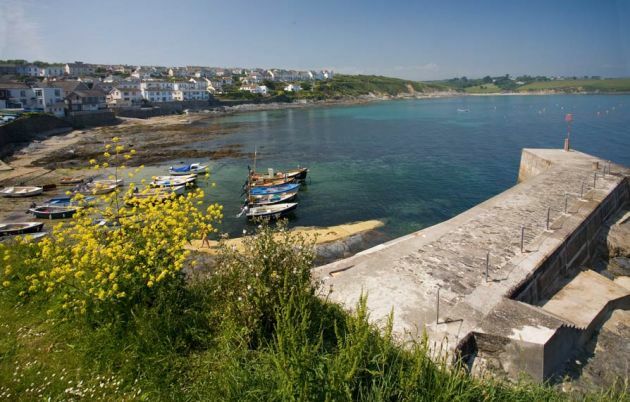 Originally home to a thriving pilchard fishery, Portscatho is still a working fishing port, thanks in large part to its sheltered east-facing location, which protects it from the brunt of the prevailing south-westerly winds. There is safe swimming in the cove itself and many fine sandy beaches close by, including Porthcurnick Sands, a twenty minute walk north along the cliffs and owned by the National Trust. A short walk in the other direction will bring you to St Anthony Head, whose lighthouse was used in the television series 'Fraggle Rock'.